w szczególności stabilizująco na naszą energetykę”. Hang Drum zbudowany jest z dwóch części Ding oraz GU. Ding czyli górna część posiada osiem pól, które tworzą „krąg brzmienia” (skalę), oraz centralny punkt który swoim brzmieniem przypomina gong (sam ten punkt nazywa się również Ding). GU, czyli dolna część posiada otwór (o średnicy około 15 cm). Dolna część może zarówno być używana do wydawania dźwięków, jak i do modulacji brzmień górnej części Ding (poprzez przykrywanie otworu lub włożenie do niego ręki). Jak dość łatwo wywnioskować Hang Drum poprawnie powinien być trzymany na lekko rozstawionych nogach w pozycji siedzącej, tak aby otwór GU był odsłonięty lub na stojaku perkusyjnym. 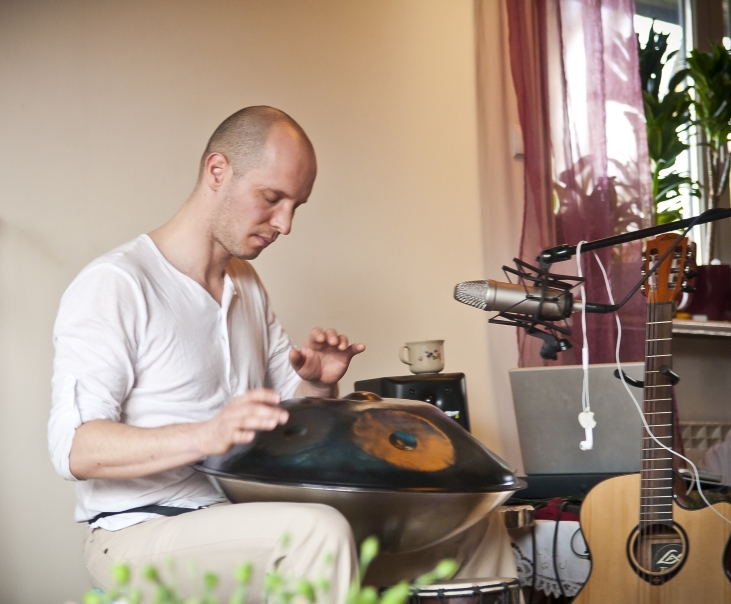 For me personally, this instrument is a cosmic fusion of Tibetan bowls, gongs and the „fifth element”. Its beautiful, magical tones have a positive influence on mind and body as well as a soothing and calming effect; they are particularly stabilizing for our energy system. Hang drum (pronounced ‘hung’) is one of the youngest instruments in the world. 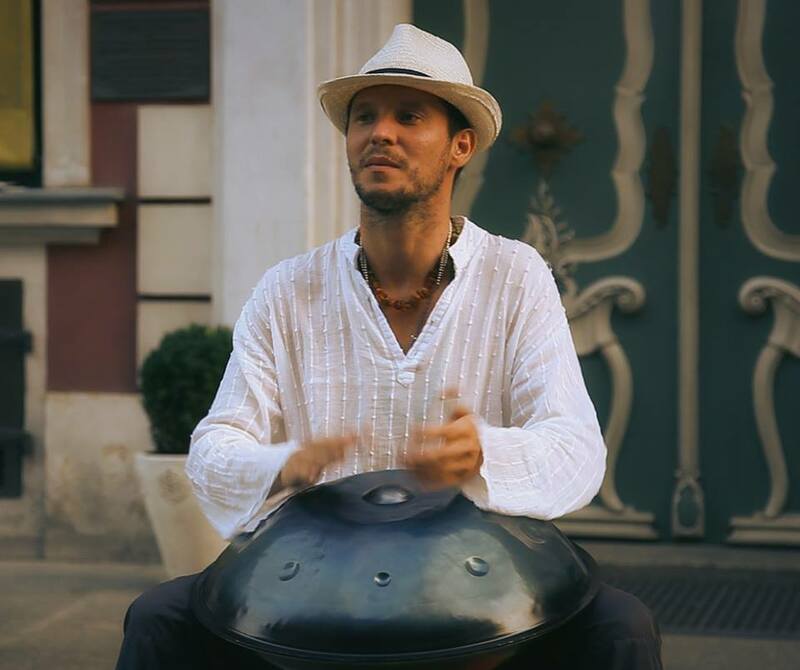 Although its sound may resemble that of some exotic countries, Hang Drum has been designed and until today produced in Switzerland by one “factory” called PANArt. Hang Drum was designed in 2000 in Bern, Switzerland, by Felix Rohner and Sabina Schärer. Since that time they have been the only people who produce this instrument. The name Hang Drum comes from the language used by the citizens of Bern, and the word “Hang” means “hand”, so, translated into English, Hang Drum is nothing else but a “hand drum”. Despite the wording of its name, many musicians playing this instrument do not think it can be called a drum, though all of them agree that this is a percussion instrument. However, not every percussion instrument is a drum, right? Besides, it’s enough to listen to the sound of this instrument to agree that it is not exactly a drum. Hang Drum consists of two parts, Ding and GU. Ding, the upper part, has eight fields which make the “ring of sound” (a scale) and a central point which sound resembles a gong (the point itself is called Ding). GU, the bottom part, has a slot (diameter of around 15 cm). The bottom part may be used to produce sounds as well as to modulate the sounds of the upper part – Ding (by covering the slot or putting the hand into it). It’s easy to guess that Hang Drum should be held in a sitting position, with legs slightly apart, so that the GU slot is uncovered, or on a percussion stand.